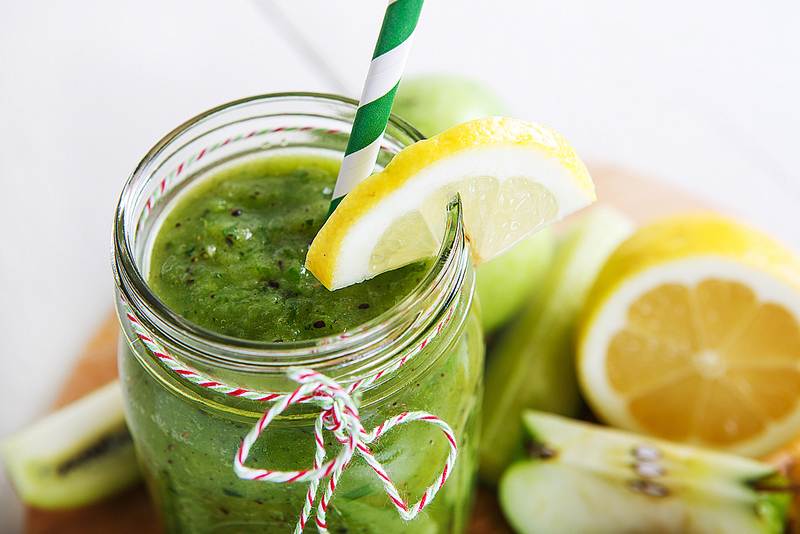 Green smoothies are quick and easy to make. Adding one into your daily routine will help boost your immune system, improve skin complexion and digestion, aid weight loss, increase energy levels and improve your mood. Having a green smoothie for breakfast or as a snack even just a few times a week could make a big difference to your overall health. It’s one of the easiest ways to get a quick blast of nutrition – vitamins, minerals, antioxidants and phytochemicals into your body. Blend all ingredients together until smooth consistency. You may need to add more water/coconut water depending on your preference. Enjoy!